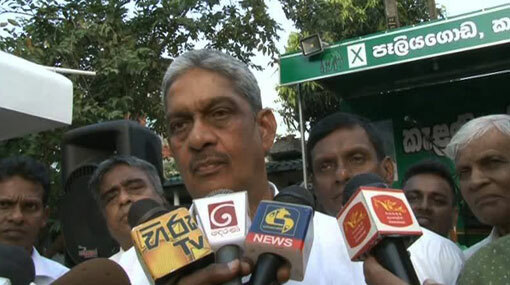 Field Marshal Sarath Fonseka says that he will never accept the ministerial portfolio of Law and Order if it is proposed to be offered to him. He said this in response to a question put forward by journalists during an observation visit regarding the wild elephant problem in the Diya Beduma area. Responding to another question, the Minister of Wildlife and Regional Development stated that when an election comes businessmen in Colombo provide funding to all MPs. After the observation tour, he said that the fences erected to keep wild elephants away are below standard and that this issue will be resolved.